I had been a library student helper for several years during my time at secondary school. I have always loved to work with books and people. Helping readers to get to the right information gave me a great sense of satisfaction. As a librarian at a special library at a German cultural institute, I work not only in the library but also have good opportunities to carry out duties outside the library. I’ve been in charge of organising exhibitions, seminars and workshops in Hong Kong, Guangzhou and Macau with our partners. The Goethe-Institut provides me with plenty of on-the-job training in an international setting. It was always a stimulating experience for me to take part in study tours to German libraries and to get to know how things are done elsewhere. 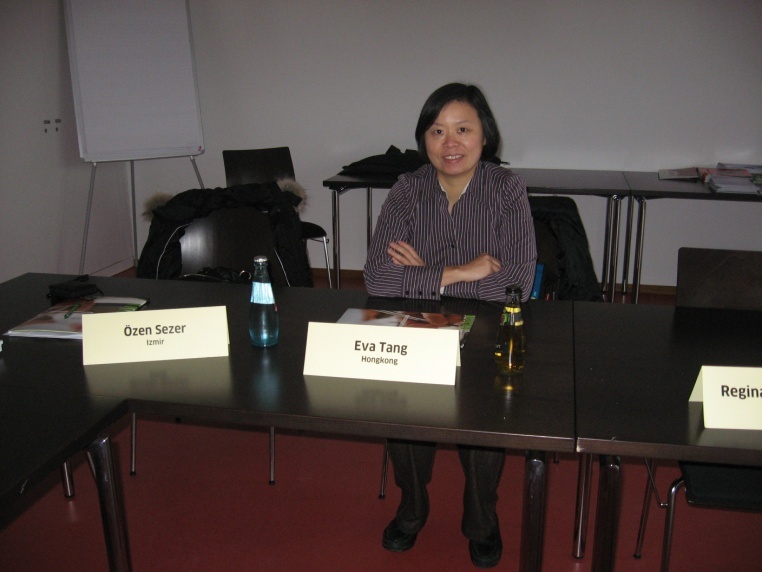 Attending academic seminars and workshops at the head office in Munich and elsewhere in Germany as well as Korea (regional head office of the institute) is always stimulating. The most memorable moment in my career as a librarian was the successful completion of a one day international conference in 2010. In my dual capacity as librarian at Goethe-Institut and a special library liaison officer for HKLA, it was the most unforgettable event that I have ever jointly organized. We had invited German experts to the HKLA for fruitful cultural and professional exchanges. HKLA and the Goethe held a one day international conference titled, “Innovate and Motivate: Staff Development for Quality Library Service" at Hong Kong Central library. It turned out to be a very successful event for professional exchange. I even served as moderator for one of the plenary sessions on the stage. So it was a challenging but very memorable experience. I took great pride in having successfully completed the event which benefited all parties participating. One major trend for libraries is getting digital. Our special library at the Goethe-Institut is particularly focused on serving language learners, where the provision of online learning is growing. It will be essential in the future to provide learning apps and other online learning materials. Such resources will develop further and will continue to expand steadily. Rapid development of digitization and electronic resources available to users online will result in savings of physical space and manpower. This is especially important for special libraries with scarce storage facilities and office space, but it will also benefit users who can conveniently access those archived documents online. To stay abreast with future developments, I believe that collaboration between librarians from various special libraries should and will continue to keep special librarians connected and informed through HKLA about changes in their library sector. The cooperation and networking between HKLA and special libraries in Hong Kong will play a more important a role than ever in the next 5 years and beyond to provide ever-expanding online services to our target users. 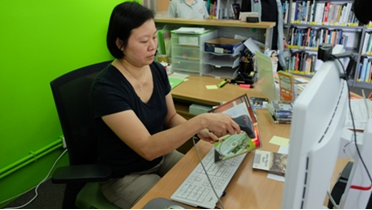 Even though the physical size of most special libraries in Hong Kong is limited, many of the special librarians are professional trained librarians. They are active in connecting with other professionals in the field, and provide the most suitable information available for the specific needs of their users. Congratulations on becoming a Fellow. What does HKLA mean to you? Being a fellow means my service and contributions to HKLA for all those years have been recognised and honored. I am proud to be an HKLA Fellow, and will continue to stay active in the field of librarianship following latest developments and supporting our professional organization wherever I can! I would like to thank HKLA for giving me this chance to share my experience with our members. Working in the HKLA council not only offered me a chance to develop my professional skills but also to meet many kind-hearted and enthusiastic librarian volunteers. To all librarians out there in the field, I say: Please support HKLA! It is our organization. The HKLA council welcomes all interested parties to connect or help keep our organization abreast with changes and developments in our profession in Hong Kong and the world!